If you love to cook and often find yourself cooking multi-course meals that require cooking two or more dishes at the same time, double oven ranges should be on your shopping list (for more tips, check out our range buying guide). 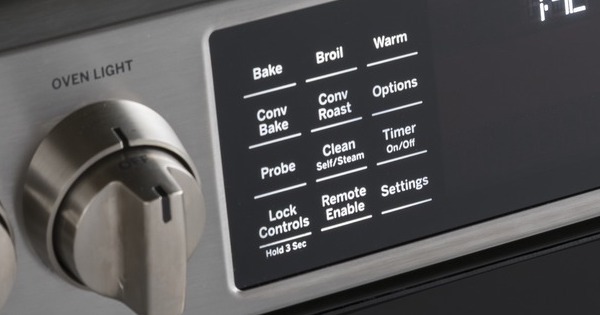 Double oven ranges allow you to cook two different dishes simultaneously at different temperature settings, or use just one oven for faster preheating than if you had to preheat a full-size oven cavity. There are many different double oven ranges on the market today in both slide in and freestanding styles, so you'll have a great selection to choose from. Beyond just the exterior style, you can also choose from all major fuel types: electric, gas, induction, and dual fuel ranges. These ranges start at around $1,499 and premium models can be $4,000 or more. When you are out shopping for a new range for your kitchen, a big question to consider is whether you need convection or not. If you decide you want convection, you'll then need to choose one of the three styles of convection ranges available on the market. In this article, we take a close look at convection and explain the differences between fan convection (regular convection), true European convection, and dual convection. 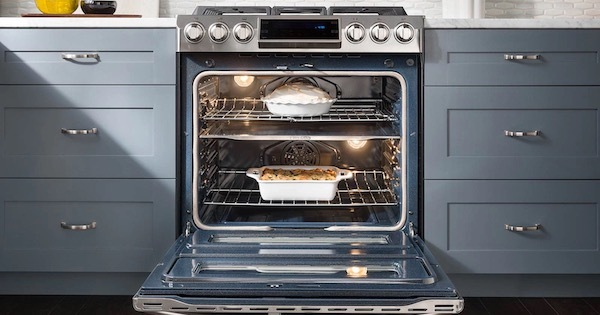 Let's take a closer look at the convection oven vs conventional oven debate! In the old days, manual cleaning was the only option when buying a new oven. Getting down on your kitchen floor and scrubbing the inside of your oven using harsh oven cleaners was the only way to get it clean. In the 1960s, self cleaning range models were introduced by General Electric. Many consumers love the self cleaning feature, but as time has passed, consumers have demanded alternatives. 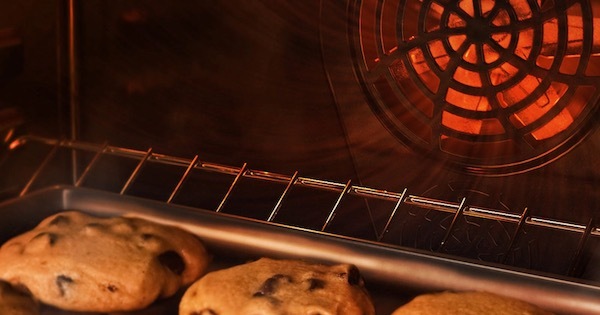 Steam clean oven models were born to meet the need for a less harsh, faster, and more energy-efficient oven cleaning option. A self cleaning range may seem like an obvious choice for today's hectic lifestyle. For many consumers, it is! Cleaning the inside of an oven can be a frustrating and time consuming job. Owning a self cleaning range can significantly reduce the hassle of cleaning all the caked-on food that builds up inside your range from the inevitable spills and splatters that result from cooking. As you are doing research for your next range, be sure to look at self cleaning range models as part of your search (and for more info on choosing a new gas or electric range, check out our range buying guide). Let's take a closer look. If you are looking to replace an older gas range with open burners, you may want to consider a new model with sealed burners. 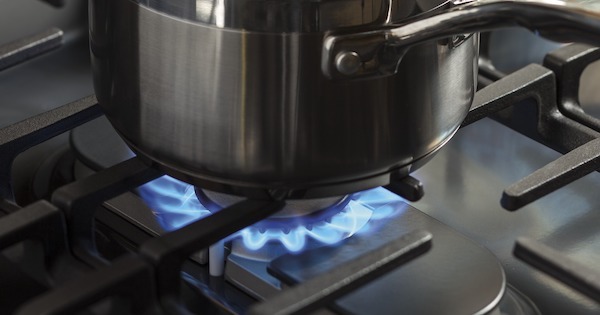 Sealed burners have become more and more common for household ranges, but there are still a few reasons why people prefer open burners. If you're wondering about the difference between an open burner vs a sealed burner, we'll explore this in-depth below to help you decide on the right option for your needs. Professional Gas Ranges - Buy One Without Going Broke! If you've been out looking at professional or pro ranges for your kitchen and are astounded by the prices, we have some good news for you. Many consumers want that professional gas range look but when they start looking at the prices of pro ranges from companies like Wolf, Viking, and even Thermador, they quickly change their minds. Even the KitchenAid model pictured above is pretty pricey for some at over $7,000! 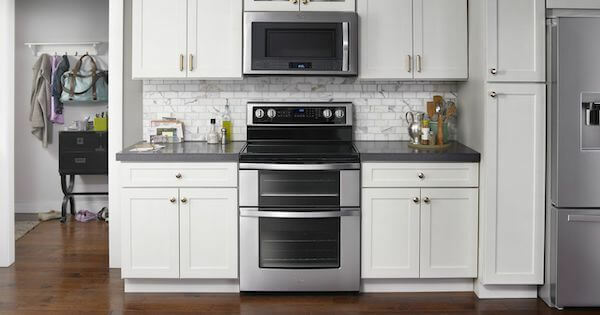 If you're curious about the difference between an $800-900 electric range and one that retails for over $1,000, you may be interested in comparing these two higher-end offerings from LG and KitchenAid in our electric range review. 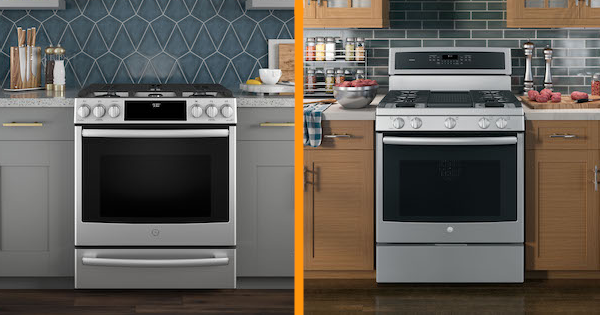 These two ranges have similar capacities and sleek modern designs, but can you get the same features you're looking for at a lower price point? Let's dig into these two products and find out! Difference Between a Slide-In & Free-Standing Range - Which Should You Choose? When remodeling your kitchen or designing a new home, you will have many choices to make pertaining to the type and style of appliances that you will buy. A lot will depend on how you or your kitchen designer lays out the cabinet design and where each appliance is located in the plan. 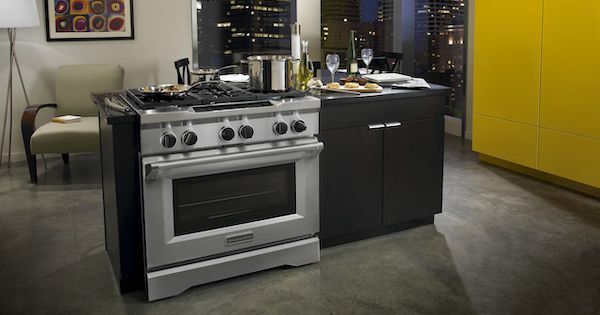 Your main cooking appliance is also the centerpiece of your kitchen: the range. And even if you're just buying a new range and not changing your kitchen's design too much, you might be wondering which type you should choose. There are many styles you can consider, including slide-in ranges, freestanding ranges, and larger professional ranges. If you want to learn more about the differences between slide in and freestanding ranges, you're in the right place! We'll go over what you can expect from these range styles in terms of design, features, and pricing. 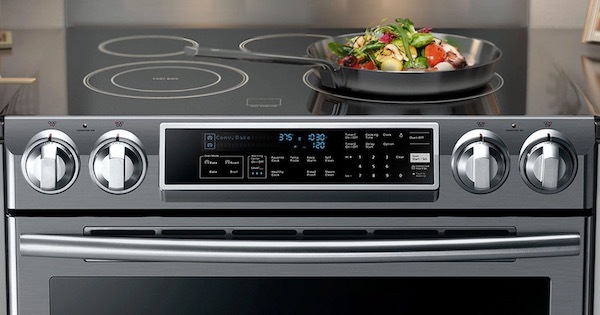 (And if you're looking for more information on choosing a new gas or electric range, check out our range buying guide! 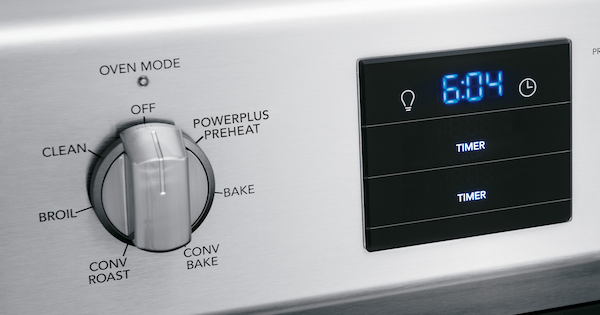 In designing or updating your kitchen, picking the right slide-in electric range may be one of the most important choices you'll make. The perfect slide in range will help give your kitchen the clean, modern, professional look that you are seeking, and at the same time ensure that the food prepared in your kitchen turns out to be a culinary masterpiece. Beyond that, you want to pick a range that is both convenient to use and convenient to clean and care for that will be dependable and serve you for many years until your next kitchen overhaul. To help you make this big decision, we've narrowed the field to the Top 5 Models of 2019 and will help you pick the one that suits you best. They are numbered for your convenience but are listed in no particular order. Let's dive into our slide in electric range reviews!